Right on the heels of it’s last collection, e.l.f. 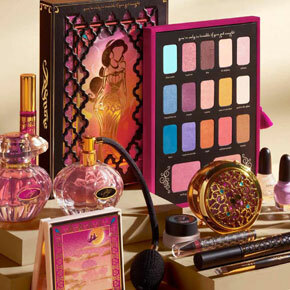 cosmetics and Walgreens has just released a brand new Disney inspired collection. This time, it’s their first princess who is getting the spotlight. Once again, I really think they hit it out of the park with the packaging. The delicate floral motif is really befitting of Snow White. The collection also features a great selection of earth tones, and lovely reds for those rose inspired lips. As always, this collection comes at a very affordable price ranging from $4.99 to $9.99. I’ve been impressed in the last few years by the make-up collections that have been coming out based around popular licenses. 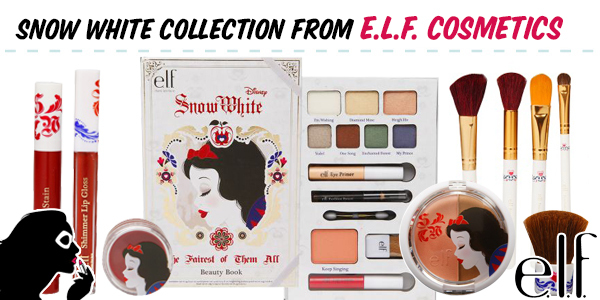 e.l.f has been especially prominent with their Disney villain collections that coincide with Halloween. It seems like they may be breaking the mold with their latest collection inspired by Disney’s The Little Mermaid. With lovely colors paired with great packaging, and great prices, this collection is sure to fly off the shelves! 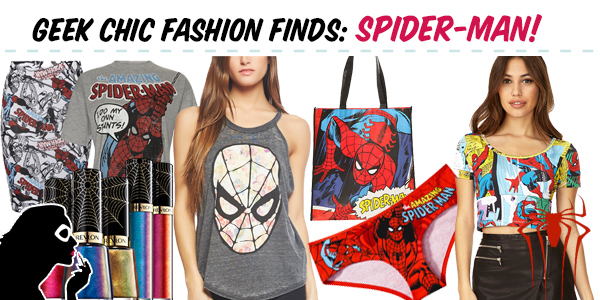 The Marvelous movie summer just began with Captain America 2, and we’re all set to see next in the line up, The Amazing Spider-Man 2. I started spotting some great merch in stores, like this beauty, and decided that we were far overdue for a Spidey post. 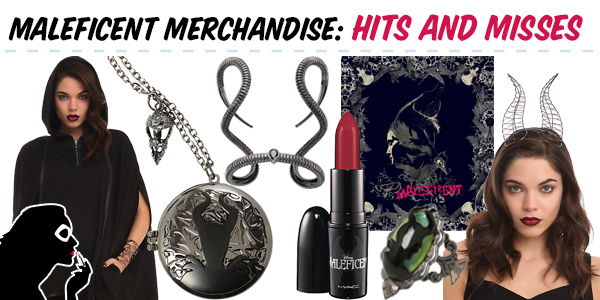 Like with any recent movie release, we’re starting to see merchandise for the new Maleficent movie being released. While some of it is really fun, some of it misses the mark completely. This past weekend we had the opportunity to attend the third annual Comikaze Expo. Since this con is relatively new, it means that there were many vendors that I don’t normally come across. The best part was how much great geeky stuff I stumbled upon. One of the trends we’ve been seeing in the last few years is makeup lines corresponding with movie releases. While last year’s Hunger Games movie featured a limited release nail polish set, this year’s movie has an entire makeup line inspired by Catching Fire. 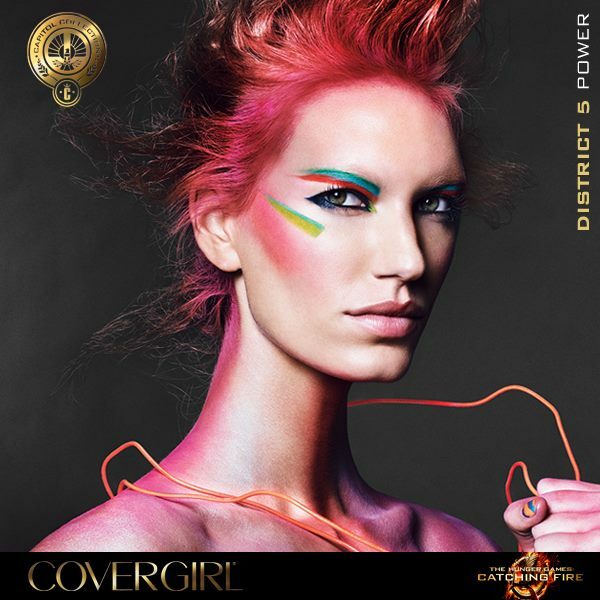 Covergirl will have a unique look for each of the districts, available now and in the upcoming days. Makeup for geeks is a small but thriving part of the geek community. And it’s just getting bigger and better with each passing day!